When it comes to weight loss, there are some items that most companies within the weight loss industry try and keep hidden from you. If consumers knew about all of the secrets that are being kept from dieters, they would spend far more time at home getting healthy than they would at the gym or buying health products. Torbal recognizes the growing health initiative and is here to help. We've listed some of the biggest secrets that consumers should know before they spend another dollar on unnecessary items. Fat free foods totally remove fat from your diet. When your body is not consuming fat, it stores the fat it has to protect itself. Your body needs a combination of fats, proteins, calories, sugars, vitamins, and minerals to remain healthy, and when any one of those items is not a part of your diet, your body holds on to the stores it has so it can stay healthy. If you want to lose weight, you need to include some fats into your daily diet. Just eat the fats in moderation. Dairy is good for your body in many different ways. Most people tend to cut it out of diets for fear of having too much fat, but the kind of fat that comes from dairy products helps your body grow, repair, and stay strong. Plus, when you fill up your stomach with dairy foods, you tend to put a lot less of the bad foods in your stomach simply because you are full. Dairy foods also help you feel full longer, decreasing the random snacking that most people do throughout most days. 3) Chocolate is GOOD for Your Diet! Nearly every diet talks about removing chocolate from your daily routine due to the fats and sugars contained in the chocolate. However, this is not always necessary. Anything eaten in moderation can still be a part of a healthy diet, especially if the right foods are eaten. Dark chocolate has health benefits and lower quantities of sugars that most consumers need when dieting. If you want to keep chocolate in your weight loss plan, just eat proper servings and try expanding on the types of chocolates you eat. If gyms knew that consumers were being educated about not needing to exercise as much, they would be spending money to try and disprove the science. However, it is something that is well known within the industry. People need a combination of efforts in order to lose weight. Yes, exercise is an important part of weight loss, but it is not the only part. It is not even the most important part. Consumers need to be able to combine a healthy lifestyle outside of their exercise routine to be able to maximize their weight loss. If consumers only exercise, they will be spending unnecessary money at the gym when it is not doing the most for their weight loss efforts. This is a very odd secret that most people do not know or understand. The air around most obese individuals contains many different toxins. This tends to make people feel sickly, and decrease their overall activity. Putting in a good quality air filter can be enough to help people feel healthier and increase their desire and drive to move around, helping them to lose weight. Something as simple as adding an air filter into your home can help you find the motivation to get healthier, which means you, may spend less on products that are supposed to give you the same benefit. The fake sugars that are contained in diet sodas actually create situations where your body holds on to more of the bad, which can cause you to gain weight. This is one of the biggest secrets that the weight loss industry wants to keep hidden from most consumers. Companies make millions of dollars each year toting the health benefits of using these fake sugars, but they also tend to try and hide the negative consequences that these supposed health products have been tied to. When you have one of those days where you can't sit still, go with it! The more your body moves around, even when it's just slight movements, the more calories you burn. If you kept your body moving throughout the day, you could increase the total calories you burned throughout busy days enough where you may end up increasing your total weight loss by an extra pound a week. Talk about a cheaper way of getting your exercise. 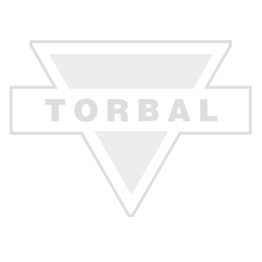 Torbal also offers a wide range of precision and general purpose scales. Whether you are looking to weigh out your daily food consumption or are interested in breaking down the percentage of water weight in your diet, we have what you are looking for.